I drove up to Red Canyon Park this morning because I am leading a Denver Audubon Master Birder Field Trip on Saturday. Today was the coolest day this week but I wasn't able to get up there until almost 10 because I have a early class I went to first. It was still quite productive: one pair and a single Gray Flycatcher, singing Bewick's Wren, singing Canyon Wren, several Plumbeous Vireo (singing off and on), several Spotted Towhees (singing), a few Black-head Grosbeak (singing), 3 Western Tanagers, 2 Blue-gray Gnatcatchers (building a nest as seen here), and several each Scrub Jays, Chipping Sparrows, and Common Ravens. 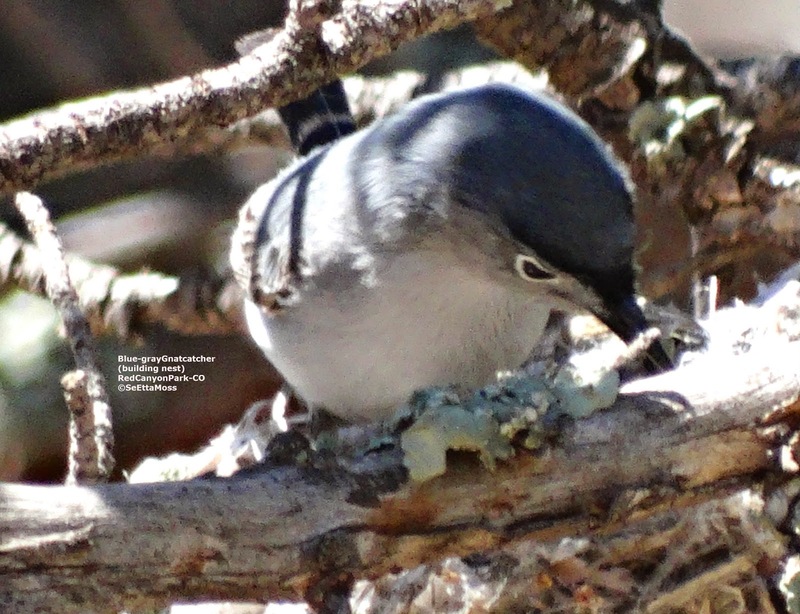 Big miss was Juniper Titmouse and Black-throated Gray Warbler. 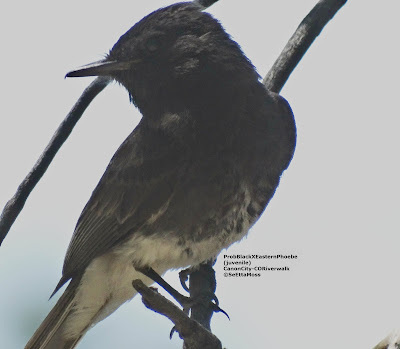 Earlier this spring I found an apparent pair of what looked like Black Phoebes that were located across the river from the Canon City Riverwalk. Though I did see them a few times when they flew across the river so were closer, most of my views were about 80-100 feet away. So I did not get good enough views of these phoebes to tell if they appeared typical or not--which in my experience takes good close views and preferably close photos since we have had many pairings of Black with Eastern or combinations including one that is a probable hybrid over more than a decade. I drove down to Pueblo Mountain Park over the week-end to see the Acorn Woodpeckers that were just reported as feeding young. I easily found both the male and female Acorn Woodpecker on the 'granary tree' that they have used to store acorns since their arrival at this location. It is also where they had an unsuccessful nesting attempt previously. All of these photos are of the male. 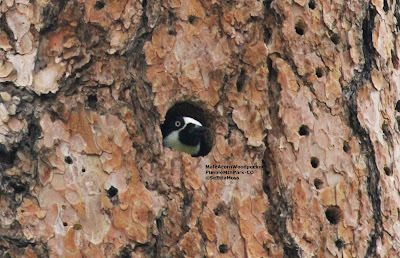 During the time I stayed watching (over an hour) both the male and female spent a lot of time in the nest hole (I think separately but they might have been inside together at one point). I never saw either bird bring any food to the nest hole nor spend time poking their heads in the nest hole as would occur when feeding. Instead they went in and out quickly leaving me the bottom pic showing just the tail as the male went inside. What I observed was more consistent with incubating behavior which is done by both the male and female.Birds of North America online. Sorry for the extended absence. I kept thinking maybe in a few days I can get back to posting but didn't work out. 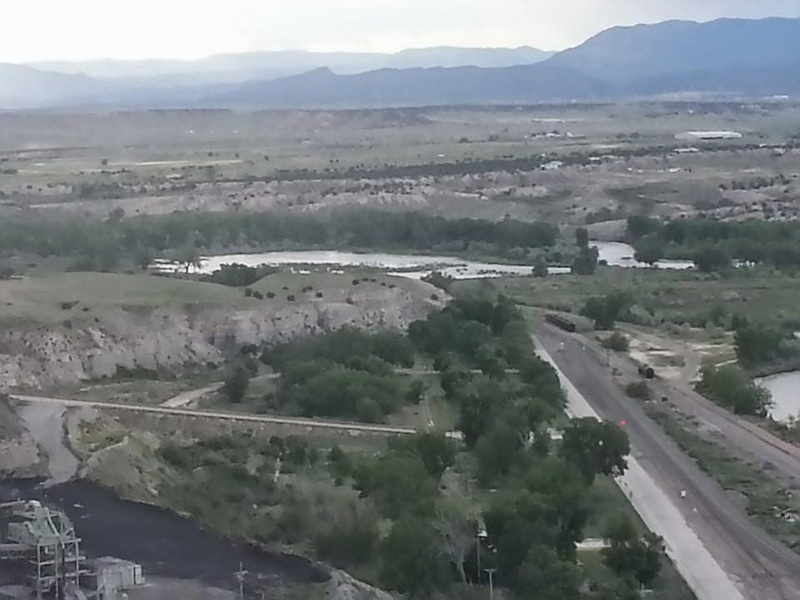 I am the environmental rep on the Arkansas Basin Roundtable in Colo that plans for water for our entire river basin. And we have been pushing hard to get a draft of our Basin Implementation Plan together as it is due at the end of July. Meantime it was migration and nesting season for birds here so I have been spending time with them. I have taken many photos but something had to give and that was uploading, processing and posting photos here. 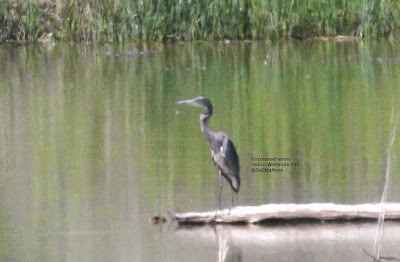 I also haven't been posting to my state's birding listserve.